As messaging continues to grow on both cell phones and smart phones alike, the outrageous prices carriers are charging us just is not cutting it anymore. 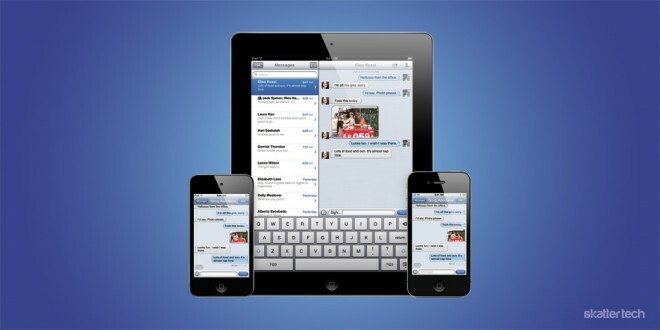 Companies like RIM and Apple have taken it upon themselves to offer free messaging systems for mobile phones. Now Facebook is stepping in to that arena as well with a brand new app for iOS and Android called Messenger. Messenger extends upon the current Facebook Messages service, which groups together different forms of communication like text messages, emails, and chats. In an attempt to further organize the lives of its users, Facebook acquired group-messaging service Beluga back in March. It was obvious what the social network was trying to accomplish with this acquisition, and today we have the finished product. To get started with Messenger, users can download the separate app from the iOS App Store or Android Market. Then type in any name — whether from your Facebook friends list or contacts — and commence the free mobile messaging. 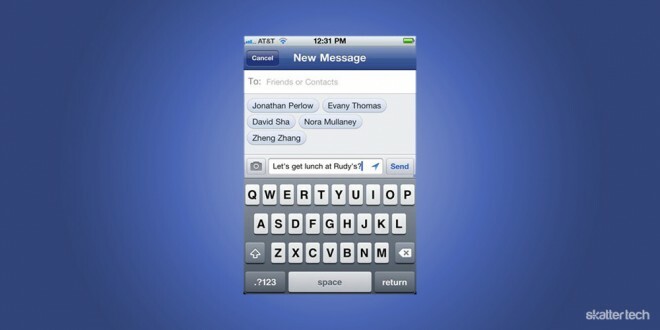 You can attach photos and locations to messages and also start a conversation with a group of people. And once you finish using your phone for the night, head back on facebook.com to see all the messages and conversations in your inbox. Everything is always in sync. Now that there are numerous contenders in the free mobile messaging ring such as BBM, iMessage (coming soon), and Facebook Messenger, the time has come for us to stand up to carriers. We shall fight. We shall win. As soon as Messenger and iMessage take off, I will downgrade my unlimited texting plan on AT&T. If I am feeling bold, I might even cancel it. $20 per month to send digital words? That never really worked out for me. Search for “Facebook Messenger” in your smart phone’s app store or have Facebook text you the download link to begin your rebellion. Thank goodness. We are seriously getting ripped from telecomm companies with texting..